This time IÂ´d like to go a little step further representing bands from my country and chose one from probably the craziest part of Finnish metal. I discovered Kotiteollisuus for the very first time, when I was 17 and going to a vocational school, that was called many different names and one of those names was accidentally â€™Kotiteollisuuskouluâ€™. Could there be any more creative or simply better recommendations for anything in this world than that? The school doesnÂ´t exist these days, but the band is still going on. This band IÂ´m talking about now started in the middle of 90Â´s with a name Hullu Ukko ja Kotiteollisuus (could be translated as â€™the crazy old man and home economics/home industryâ€™) but very soon they shortened their name. They have been one of the most popular metal bands in Finland and their front man has become a local celebrity. In my opinion itÂ´s not any wonder for a really natural reason: I have met guys of this band once. It happened eleven years ago at a record store in a town where I used to live back then. At first when Jouni, this front man, saw me, he said: â€™Now we got a real old school punk rock girl here!â€™ and I didn’t have a heart to correct him, though my musical taste in those days was mostly delighted by melodic death metal and punk came along much later. His charisma was that much impressing. The music of Kotiteollisuus has gone through many changes. However, it always could be described as slightly punk flavoured metal/rock with a little touch of industrial and in earlier albums influences of bands like Killing Joke for example canÂ´t be ignored. 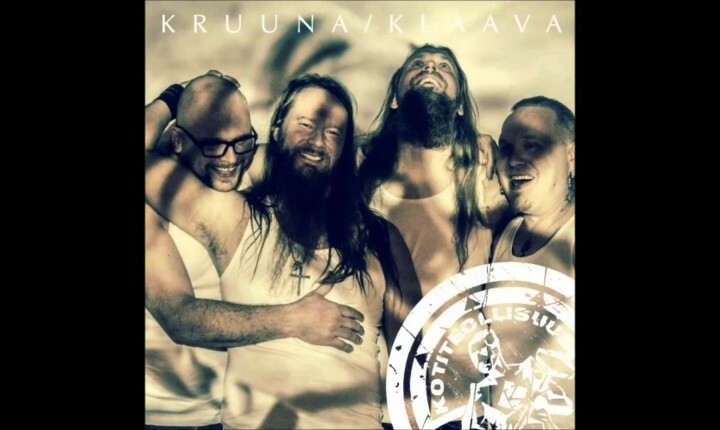 In this latest album â€™Kruuna/klaavaâ€™(= heads/tails), out in 2015, Kotiteollisuus have become more rock than metal but they still sound like themselves. The whole album is energetic, it offers stylish riffs and its filled with an atmosphere that fits perfectly for a long road trip or something. The biggest exception in the album is the song Pakko on vain kuolla, that feels like it has been played in a log cabin high up in the snowy mountains. And one more thing: I bet this track reminds at least someone of the old song You Raise Me Up…! My personal fave song from album is ItsemurhalentÃ¤jÃ¤ (could be translated as kamikaze) with its almost hypnotic sounds.